We have the experience and knowledge to help you achieve your goals whether it is buying a new home or selling your current property. 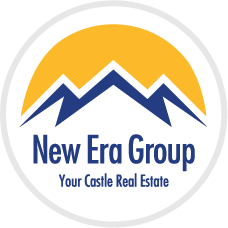 The New Era Group is proud to be part of this growing city and the great lifestyle found here. We've assisted hundreds of families buy and sell homes, lofts and property along the Front Range and we look forward to helping you. Our professional and caring agents always go the extra mile! There are literally thousands of great properties for sale in the metro area and it can be a dizzying task to find the right one. However, our lightning fast and technologically advanced Denver Home Search will help you find that perfect property. At your fingertips is the ability to search by area, number of bedrooms and by location. If you need more advanced features you can add school district, architectural style and other filters to narrow down the options. On top of that, you can save your searches and get notified each day of new properties that meet your criteria right when they hit the market. When you find a property you’re interested in, contact us and one of our realtors will be right there to help. Natives and visitors alike quickly grasp the allure of this wonderful mountain city. Sitting at the base of the Rockies and teeming with the exuberant life of the metro area, it is obvious why so many people love it here. With 300 annual days of sunshine and the nation's largest public park system, residents dabble in everything from skiing to hiking, and mountain biking to river rafting. It is no wonder that people from around the world dream of living here, but it is only the fortunate few that get to call this wonderful place, home. Downtown living is hot again and we are proud to present the most comprehensive Denver lofts directory in the city. The urban market is very strong and new developments and renovated warehouses are becoming more main stream as people realize the advantages of living downtown. We have the inside knowledge on new high-rises, hip historical loft projects and the coolest spots in town. Try a search of condos and lofts here to see what is available now. We’ve made the challenge of finding the right neighborhood less daunting by providing a broad neighborhood overview. Save time by perusing the neighborhood of your interest or simply click on the map. We know how important it is for you to find a home that meets your budget, your lifestyle and is good for the whole family. We pride ourselves on sharing the best insider information to help you make the best real estate decisions. We consider our clients to be our friends and make every effort to earn your trust through hard work and diligence. 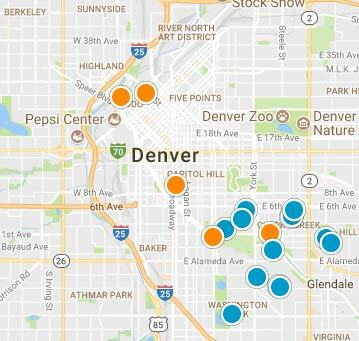 Our knowledge of the different areas in and around Denver sets us apart from other agents. This translates into a key advantage for our clients as our neighborhood expertise is often the difference in real estate success. Next Step — Dive in! Go ahead and use our first-in-class home search feature which is easy-to-use, super fast and filled with great features. The best part is that you can use all of the great features or not. Totally up to you! Some of our favorites include automating home searches to keep your search going, the ability to "flag" properties you are interested in and of course, having full control over email updates. We hope will find our site helpful, informative and fun. Please be sure to check out our blog to discover a huge resource of area facts and insights. If you have any comments or suggestions we would love to hear from you — contact us here.